Mercedes-AMG is planning on setting a new lap record on the Nurburgring. But before that happens, its Mercedes-AMG GLC63 S 4MATIC+ Coupe is getting all the attention on the Sachsenring, turning into the fastest SUV out there. 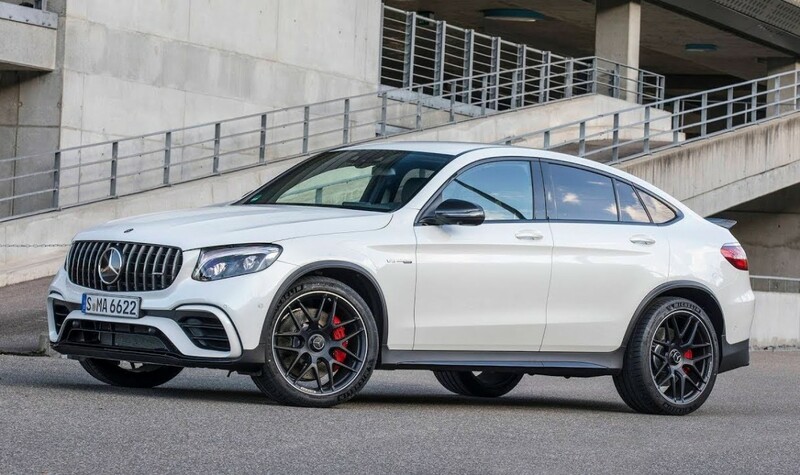 With its aggressive styling that would not allow it to be ignored and with a temperament that turns heads, the Mercedes-AMG GLC63 S 4MATIC+ Coupe has hit the racetrack. In a video posted on YouTube by AutoBild, the Coupe SUV completed the 3.8-kilometer (2.3-mile) run in only 1:37:89. The figures make it outpace the performance-focused Porsche Cayenne Turbo S (1:38:32) by almost one second and bring it inches closer to its mid-size sedan sibling, the C63 Coupe, which stopped the clock at 1:37:35. Powered by the company’s already famous 4.0-liter V8 biturbo, the Mercedes-AMG GLC63 S 4MATIC+ Coupe runs from a standstill to 100 km/h (62 mph) in just 3.8 seconds and hits an electronically limited top speed of 250 km/h (155 mph) or 280 km/h (174 mph) with the optional AMG Driver’s Package. The V8 rolls out 510 horsepower (375 kW) and 700 Nm (516 lb-ft) of torque. The power is delivered to all wheels via an AMG SPEEDSHIFT MCT 9-speed sport transmission. The muscular broad-shouldered AMG GLC63 S provided the racer that got the steering wheel with a super sports cabin with nappa leather and red detailing, scaled up mechanics and electronics, which set it way above the standard GLC. He only needed to engage the “Race” driving mode to turn his SUV Coupe into a tarmac devourer.